PHOTO: Dale Dawn. Highlands senior Ben Sisson (right) blocks a shot along with Nate Roberts (23) against Newport in December. Sisson just signed with tradition-rich Kentucky Wesleyan in Owensboro. People saw a number of college coaches at Highlands boys basketball games this year. The list included coaches from nearby colleges such as Mount Saint Joseph and Hanover College along with the likes of Centre College and the College of Wooster (Ohio) came to recruit Highlands 6-foot-6-inch senior Ben Sisson. Sisson recently decided to commit to Kentucky Wesleyan College, an NCAA Divison II college in Owensboro. The Panthers are part of the Great Midwest Athletic Conference. Kentucky Wesleyan has a rich tradition with eight national championships, which is the most in Division II. The Panthers are coming off a 10-16 season including 8-12 in conference play under first-year Head Coach Drew Cooper. The most recent national championship came in 2001. The Panthers last qualified for the national tournament in 2017 losing 78-75 to Quincy Univeristy (Illinois) in the first round. 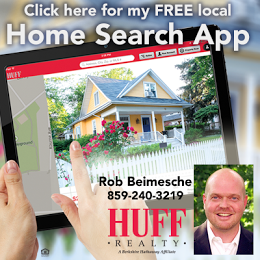 New listings on Canon Ridge and Dixie Place in Fort Thomas. Click here! "They have a very rich history," Sisson said. "A lot of people in the Owensboro area know about the tradition and they follow the team. It's really cool to be a part of that. Having that community environment is really important." Sisson has been named to the 36th District All-Tournament team the past two seasons and the 9th Region All-Tournament team this past season. 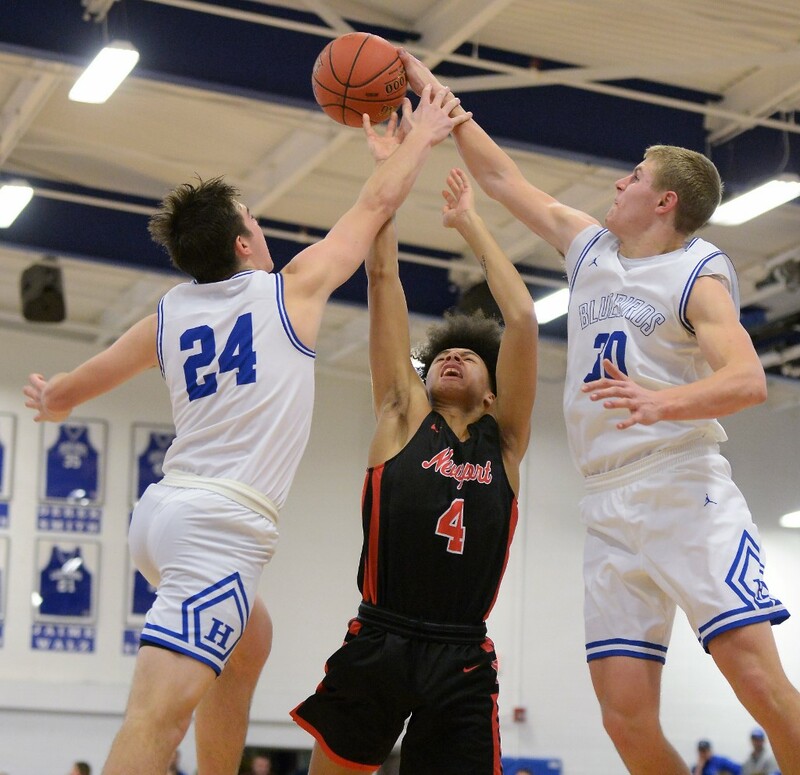 Sisson won the 9th Region Player of the Year honors in addition to the Division II Player of the Year and Division II Defensive Player of the Year award from the Northern Kentucky Boys Basketball Coaches Assocation. Sisson averaged 16.7 points and 10 rebounds per game helping Highlands to a 20-12 record and 36th District runner-up finish. Highlands lost 47-37 to Cooper in the 9th Region quarterfinals. The Bluebirds had not been to the region tournament since 2014. Sisson's 69 percent shooting percentage ranked among the best in the state. "The Panthers are getting a great player and an even better young man," said Kevin Listerman, Highlands Head Coach in a KWC Athletics press release. "Ben's enthusiasm, relentless pursuit of excellence and skill level will excite the Wesleyan faithful. He is a great student, tireless worker and a fantastic teammate." Sisson will join two other players on the KWC squad. They are St. Henry graduate Tyler Bezold and St. Henry graduate Adam Goetz. "I know I have to get stronger so I can play at that high level in the paint," Sisson said. "I have to continue to work on body then develop an outside shot so I can be a threat inside and out just becoming a more well-rounded player." Highlands had not had a winning season since the 2000-10 campaign. The Bluebirds last won 20 games during a 21-9 campaign in 2009-09. "It was unbelievable. I loved every minute of Highlands basketball," Sisson said. "Beating NCC twice, beating CovCath, getting back to the regional tournament, it was special." Sisson also helped the Highlands football team to a 10-3 season and the team's first appearance in the region championship since 2015 as a defensive end. The Highlands 3-5 defense limited opponents to averages of just above 149 yards rushing and just below 96 passing per game. Sisson had a team-high four fumble recoveries including one for a touchdown in the 14-10 win at Anderson County in the second round of the Class 5A playoffs. Sisson also had two sacks. "It was amazing," Sisson said. "Highlands football was a great experience as well, especially with the defensive guys. We put together quite a squad there." A couple other Highlands alums currently play at KWC. Jenna Martin, a 2017 Highlands alum, just completed her sophomore season on the women's basketball team leading KWC to the NCAA Tournament. Mitch Jones, a 2015 alum, is a senior pitcher for KWC's baseball team.